Small business owners may not have enough time and skills to market you. Our marketing engine is exactly what you need, marketing with cruise control. At some points when there are few bookings and slow sales; with our marketing engine, you can create several promotional offers for e.g. get 15% or 20€ OFF. 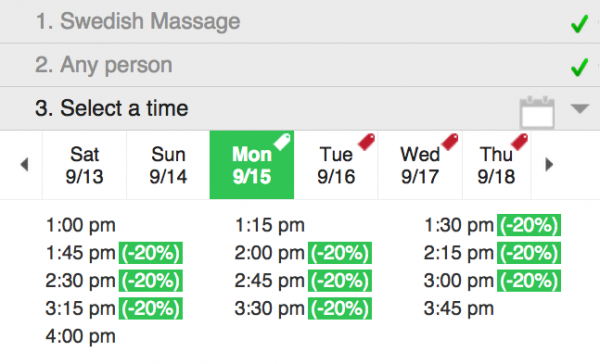 You can also limit your promotions to specific days and even specific hours with an expiration day. Easily create and share your promotions on Social Media without leaving your Hakema account. You can also send promotions to your customers in your customer database via Email and SMS to keep them coming back. Follow-ups are a great way to make your customers return. With our platform, you can put your marketing strategy on cruise control. Send a customized follow-up email & SMS periodically, for example auto-send follow-up emails and SMS after 10 weeks since last appointment, or every two weeks from last booking. If you don’t have a website, No problem! Hakema.io comes with a Free Mini-Website which includes your contact information, services, reviews, booking and promotions. It works well on mobiles and is also optimised for search engines like Google and Bing. With Hakema, you can easily add all your existing customers and invite them to your online booking via email and SMS. Make it unique by adding custom message to each and every invite. Sales promotions play an important role in attracting new customers. They also prompt old customers to come back for more. We make it simple for you to send Email Campaigns right from Hakema, with need for any fancy email tools. SMS promotions are definitely not a thing of the past; they are still very productive till date. 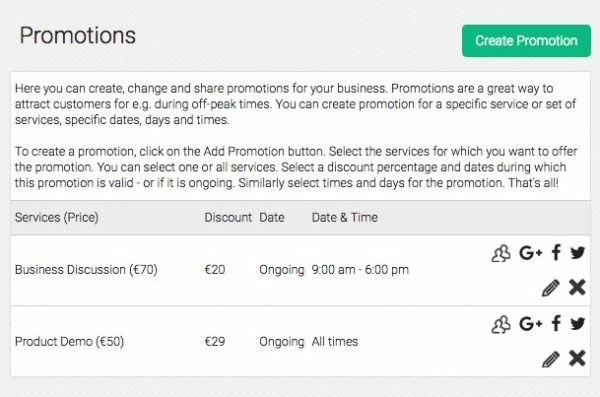 Easily create and share your promotions via SMS right from Hakema, with click of a button.